Nature’s Way Pest Control is committed to eliminating pests without harming people, pets or the environment. Our eco-friendly approach to pest control is based on essential oils – the natural defenses that plants and trees use to protect themselves against insects and microorganisms. 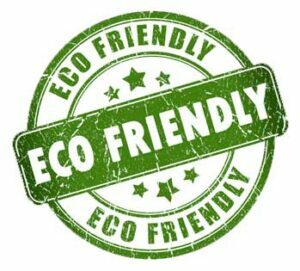 The result is highly effective green pest control products that target insects, not people or the environment. Learn more about the effectiveness of green pest control, or contact our eco-friendly pest control experts in New York (518) 745-5958 and Vermont (802) 855-2978. 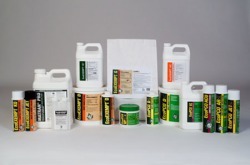 Nature’s Way is proud to use EcoSMART®, Essentria® and BORA-CARE® pest control products. Like trees and plants, which use their own essential oils to protect against insects, botanical-based EcoSMART and Essentria pest control products rely on these same natural defenses to eliminate and control pests in your home. Using steam, the essential oils are extracted from the plant and combined in a proprietary blend that targets the insect’s octopamine receptors, a specific part of the nervous system. Once the octopamine receptors come in contact with the essential oil compound, the insect can no longer survive. Vertebrates, such as birds, fish, dogs and people, don’t have octopamine receptors, which means they are not effected by these essential oil blends. In fact, botanical-based green pest control products deliver an unprecedented margin of safety, allowing for indoor use around children, pets and even food preparation areas. Furthermore, the product performance is comparable to conventional pest control. Backed by years of scientific research, the unique technology in these botanical-based green pest control products has proven to be extremely effective against a broad spectrum of pests with no known pest resistance issues. Bora-Care is both a bait and a repellant for insects, which uses borate salt to target a unique feature of insect biology. When borate salt is ingested, termites, ants and other insects become unable to extract nutrition from their food, and starve to death. By treating wood and other structural materials in a home with Bora-Care, the insect’s food source is simply eliminated. The borate salt penetrates the wood and does not break down over time, so protection lasts for the life of the wood. Subterranean termites won’t even try to eat treated wood, or tube over treated surfaces to reach untreated wood, and as soon as carpenter ants attempt to build a tube on treated wood, they die, the colony is alerted, and they abandon the source. In addition, Bora-Care’s unique patented blend of glycols and borate salt provides results that are hard to beat. Because this unique mode of action attacks the biology of insects, they cannot develop a resistance – ever. Decades of efficacy studies and field treatments have proven Bora-Care’s ability to prevent termites and carpenter ants from destroying homes, and more than 40 studies have confirmed its wood-protecting power. * It is important to note, however, that borate salt is a hazardous substance that can endanger people and pets if it’s ingested or inhaled in significant amounts or over extended periods. To learn more about our natural products and Integrated Pest Control Management, contact our eco-friendly pest control experts in New York (518) 745-5958 and Vermont (802) 855-2978.